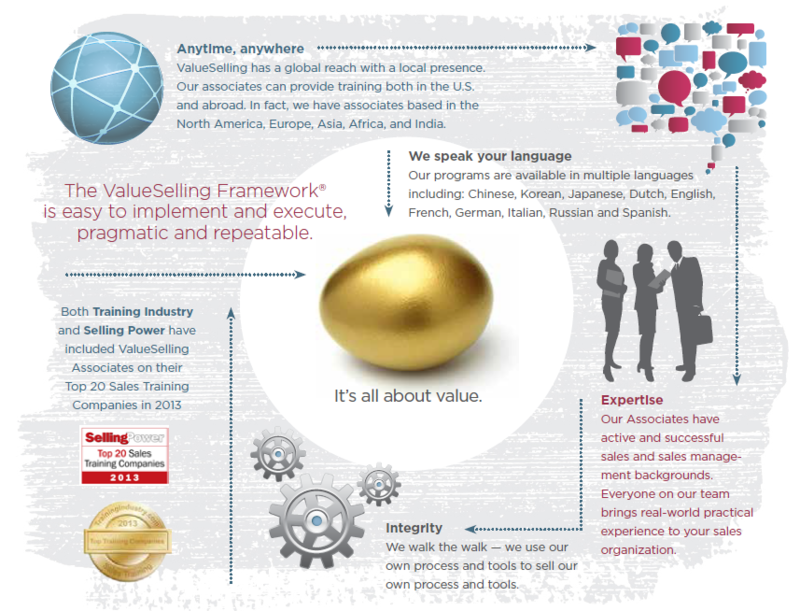 ValueSelling Associates is the creator of the ValueSelling Framework, the sales methodology preferred by sales executives around the globe. 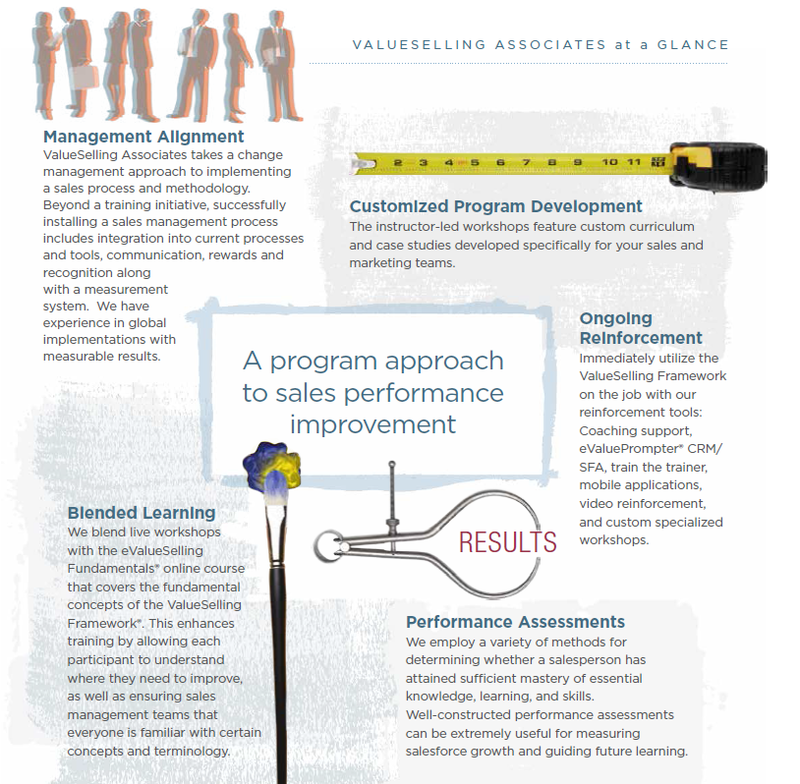 Since 1991, ValueSelling Associates has helped thousand of sales professionals increase their sales productivity. Offering customized training to FORTUNE 1000, mid-sized and start-up companies, ValueSelling Associates proprietary sales training tools and consulting services deliver measurable results. Clients turn to the experts at ValueSelling Associates for services that yield immediate impact, repetable strategies, and sustainable results. How can you be sure you get a return on investment? Withn weeks of property installing ValueSelling, you’ll experience a return on your investment. That ROI will grow as you increase sales productivity, performance, and customer retention through a unique combination of energic live and elearning sales training workshops and tools to boost your sales skills and sales revenues. People need a reason to change. The rpoduct is in the mind of the buyer. People make emotional buying decisions for logical reasons. The correct use of power is key. You can’t sell to someone who can’t buy.